SKB-quality soft bags for the local gigging drummer. 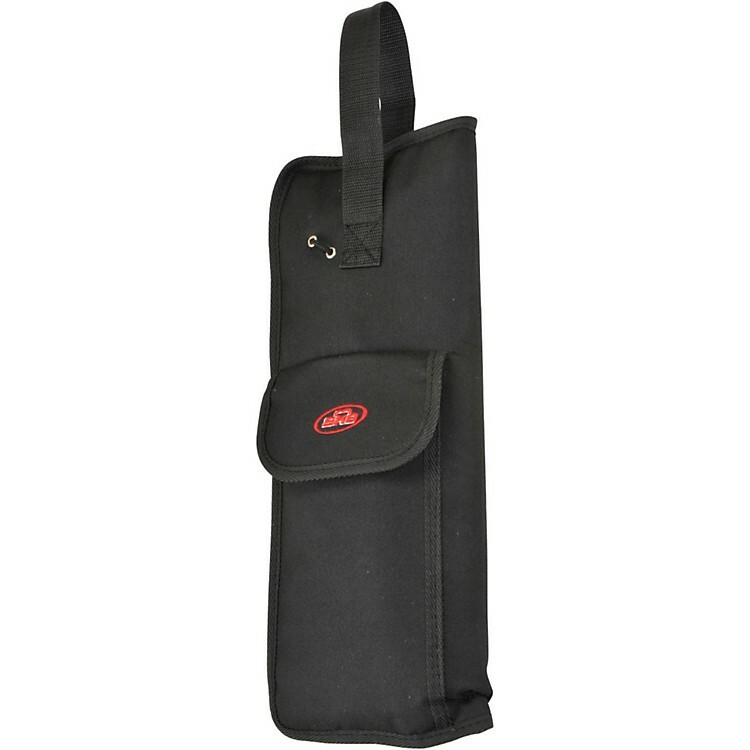 This SKB Standard Stick Bag is constructed of no-frills 600 Denier nylon and includes three interior stick pockets. An external accessory pouch secures a drum key or accessories with heavy-duty zippers. The 1SKB-SB100 includes two straps with stainless snap swivel hooks for secure mounting on the side of a floor tom and an adjustable shoulder strap.